Donald Trump wants to build a wall along the US-Mexico border. But whether you agree with his plan or not, America’s already doing it. The wall just happens to be digital. The idea for a brick-and-mortar wall with Mexico has gone through fluctuating degrees of popularity over the past few decades. But whenever the plan for a “real” wall loses steam, the so-called digital wall — a vast and comprehensive network of motion sensors and video cameras — becomes much more popular. There’s already high-tech surveillance of this kind on the border, but as NextGov reports, the US Department of Homeland Security announced yesterday that it will be focusing more resources on the digital wall in Arizona. Along with the Border Patrol, they’ll be putting $145 million into the construction of six new towers and high-tech surveillance equipment that will dot the landscape between them. 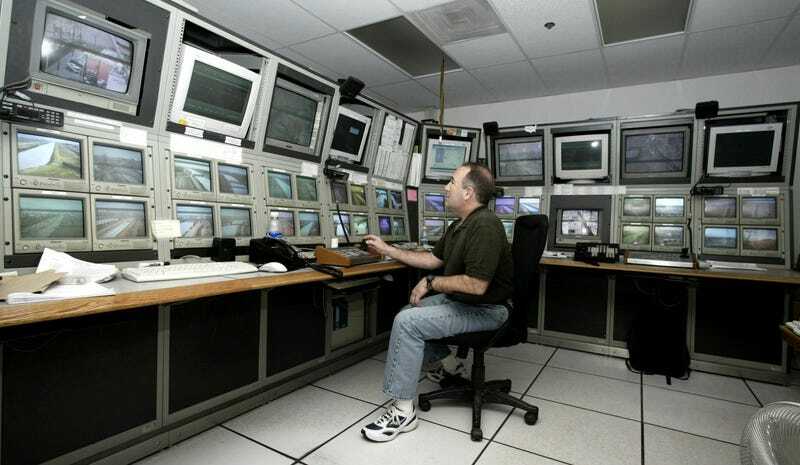 The digital wall replaces the $1 billion so-called Secure Border Initiative Network, conceived in 2005, which would have blanketed the entire southwest border with radar-equipped, camera-mounted towers. DHS abandoned the program in 2011, after realizing contract specifications did not jive with the reality of the harsh southwest terrain. Cameras malfunctioned and radars in densely populated areas proved futile. Politically speaking, Arizona has always been one of the the most enthusiastic states for a wall, whether virtual or real. The 387 miles of Arizona border with its southern neighbor has been America’s most popular testing ground for high-tech surveillance. And given the political will present in Arizona, Homeland Security is content to spend hundreds of millions of dollars on sensors and cameras to watch that border. While Donald Trump is famous for saying that he’ll make Mexico pay for the wall and build it, America’s current plan for the virtual wall actually involves a different country altogether. Israel’s Elbit Systems will be constructing the new system, which will be equipped with special surveillance tools, including ground sensors. The company, a subsidiary of Elbit Systems, Israel’s largest publicly traded defense firm, won the Arizona tower contract in 2014. A DHS official Monday acknowledged the company’s experience constructing sensor technology for a wall in the Palestinian West Bank factored into the decision to sign with Elbit. Also, the company’s proposal was 75 percent of the estimated expected costs, the official said. “It is odd to go offshore for this work,” Mark Amtower of Amtower & Co., a government contracting consulting firm, told Bloomberg back in 2014 when Elbit won the contract. “But in extraordinary circumstances, one really wants to employ the best. The idea for a virtual fence along the US-Mexico border is far from new. In fact, relatively primitive sensors that were originally tested during the Vietnam War were brought back to the United States to detect drug smuggling across the US-Mexico border in the 1970s. The new towers in Arizona will certainly be used to detect illicit drug trafficking. But for political purposes, it’s safe to assume that references to “the wall” — virtual or brick — is all about keeping people out of the United States.